I have a couple of these, 1 new in box and one lightly used both are black. A buddy of mine told me that there is a pretty good market for them these days. A couple of guys are looking for one in the wanted section. I should be able to post some pics tonight. You’re new here (welcome! ), so you will want to read the rules for Classified postings first. 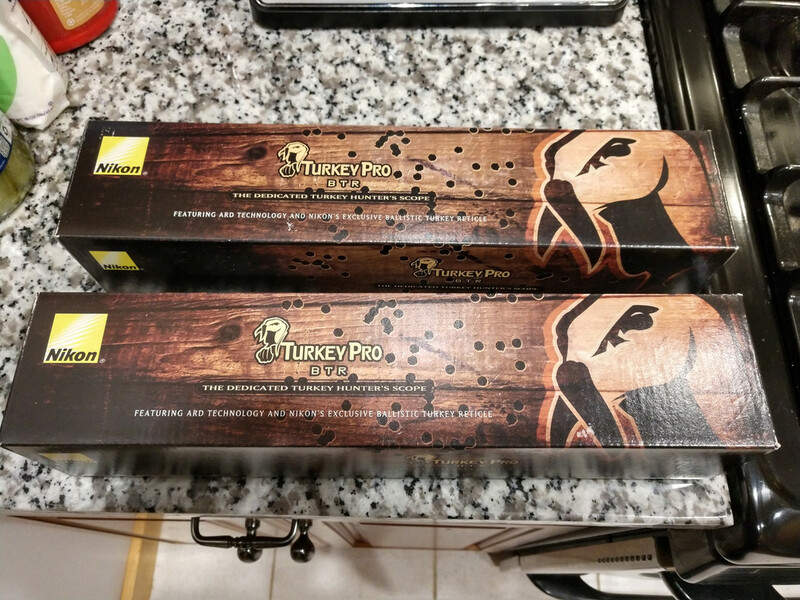 A Nikon Turkey Pro for $12 is an awfully good deal. I'm not new, been a member for nearly 4 years but rarely post. Perhaps my original post wasn't clear. To clarify I am asking for opinions on what they might be worth. This is not a sale thread. One new, never even taken out of the plastic, other has been mounted for a very short period of time and has very light marks where it contacted the rings that I can't get to show up in pics. Both have the ARD. 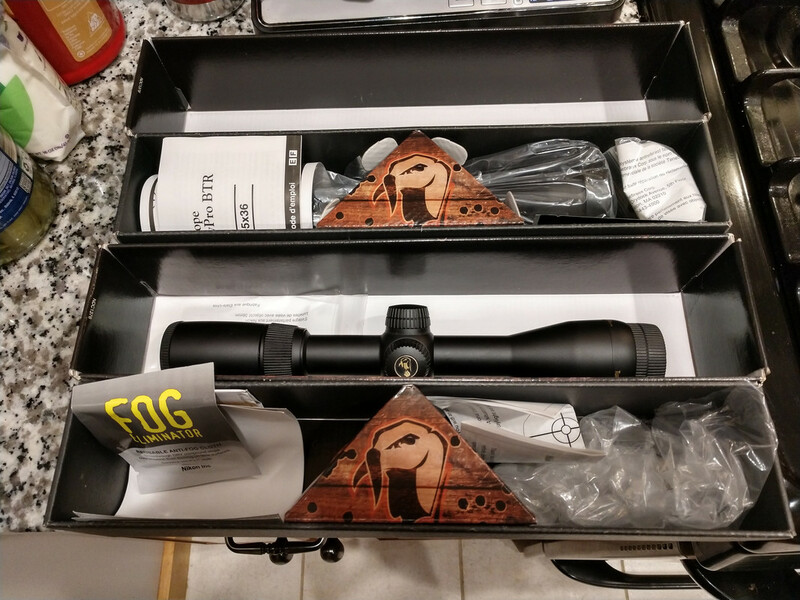 They are very high quality scopes, and typically hard to find since Nikon quit producing them. I suspect that they will sell fast if you decide to sell them. On the low end $250, and I’ve seen as high as $500 on auction websites. Particularly rare to see them complete with boxes and the ARD. I love mine ! I bought it a couple of years ago and had it dipped in real tree to match my shotgun. 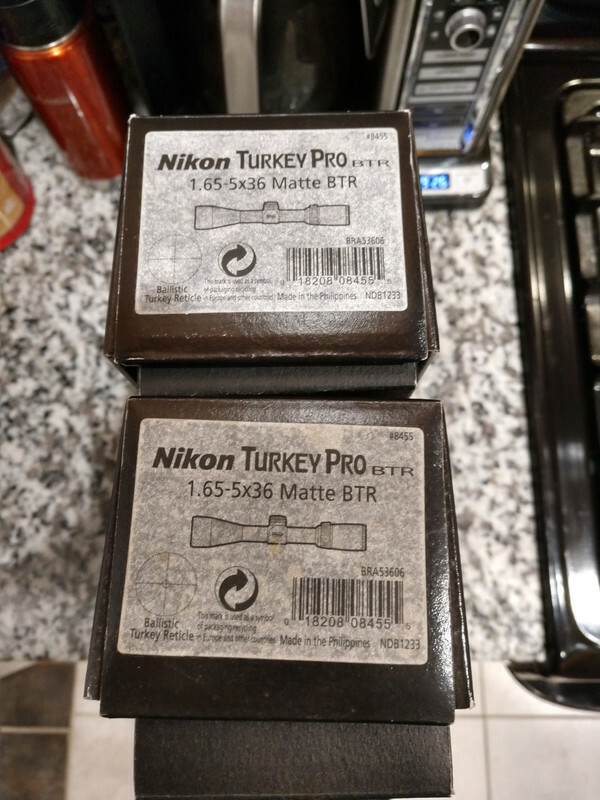 I contacted Nikon and they sent me the ard cover for no charge!Awesome scope ! So are any of these for sale? I'm not allowed to sell here but I plan to sell at least one of them. Will either be on one of the other forums I use like 24hourcampfire or worst case I'll put it up on ebay. Feel free to pm or email me about it. If I don’t like my aim point I may be interested. So $12 then? I'll take one! Just let me know when. The BNIB scope is listed over on 24hourcampfire. Just so everyone knows he's looking for $500.00 or best offer.